I thought this would be a good time to give you Fat Loss Tip #35-Engage in Daily Meditation. By getting your needs met before other things that show up in your life, you will have less anxiety, you will perform at your most efficient state and your mind will be free of clutter. For example, rather than getting caught up in your emails, make sure you started your day with 1-2 glasses of water. If you are not currently working out in the mornings, try Fat Loss Tip #13- Workout Soon After Waking For Optimal Fat Loss. Also, make sure yo u eat breakfast to “break the fast.” See Fat Loss Tip #10- Start Strong: Eat A Healthy Breakfast. 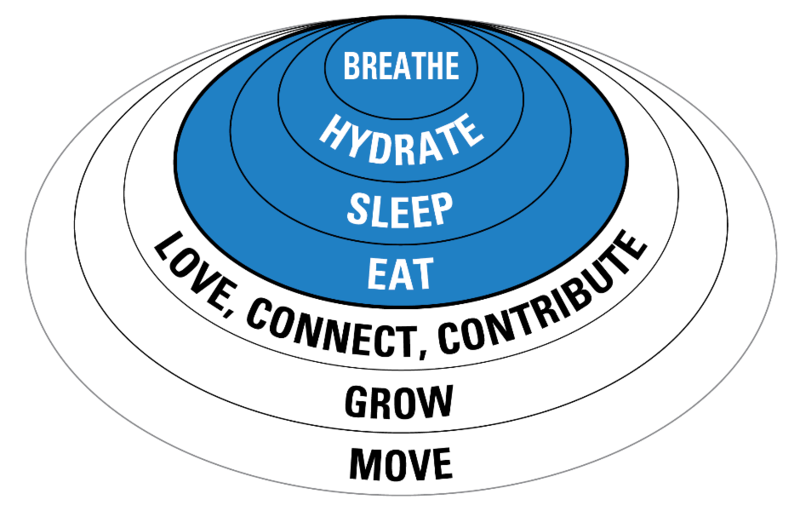 One of the most important and neglected needs is #1 -Air. Yes, given you are alive, you are breathing. However, you have an opportunity to slow things down. You can slow your breathing rate, which will shift you away from the sympathetic dominant (flight or fight response) lifestyles we tend to live. Although our bodies’ reaction to some stress is good, given it helps us adapt to the stressor, in today’s world we are being stressed more than ever and we are not faring well. 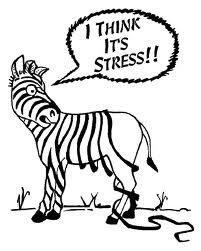 When people think of stress they typically think of deadlines, financial stress, relationship stress, etc. Stress not only comes from these mental & emotional sources, but they can be spiritually based (whether you are a good Christian, Jew, or member of society). Our bodies also become stressed by the foods we eat, our environment, age, disease, bacteria, viruses, physical misalignment like bad posture, electro-magnetic stress (cell phones, computers, etc. ), being too cold or too hot. Whatever the sources of stress, our physiology does its best to fix the situation and eventually becomes fatigued if there is too much. When we are overwhelmed with stress, we get the following: tired, anxious, insomnia, headaches, muscle and joint pain, digestive complaints, blood pressure & cholesterol issues, and immune issues to name a few. You can test how much stress you really have by doing these simple saliva tests: STRESS TEST. The typical western model is: feel bad –> go to the doctor–> get medicine–>mask symptom for a while–> gain more weight–> get tested frequently by the doctor to make sure liver and kidneys are okay from side effects of meds–> get different symptoms like more weight gain, depression, and insomnia–> get more meds, etc. Much of this cycle can often be reduced by a simple practice of daily meditation. There are many forms of meditation. The most common Zen Meditation is doing your best to think about nothing while breathing as slow as possible. If this works for you, go for it. It doesn’t work for me very well. Meditation can be done just about anywhere. How about a walk on the beach, a hike on a trail, or while jogging or cycling? For me, journaling works best. I reflect on all the things I am grateful for, and indicate the challenges that occurred during the day. I observe where GOD or Source moved through me and others during my interactions. For those challenges I have, I ask for help. Like a typical guy, asking for help was initially difficult. The cool part is whenever I ask for help, my challenges and questions are usually resolved. I still try to control things, but that is human nature. I do my reflection and journaling just about anywhere now, and when I do my life is so much easier. I also love to walk on the Labyrinth at Mercy Center in Burlingame. This is a powerful place that grounds me, leaving me less anxious. Ask the right questions, and you may get answers also! When I do not take time for myself, I am anxious, frustrated, overwhelmed, quick to anger, unmotivated to eat well or workout, experience muscle-related pain, digestive complaints and more. The more I give to others, the more I need to re-charge. How much of your stress and pain is due to a lack of time for yourself? Be good to yourself and do your daily meditation. The goal is to accomplish as little as 5 to 45 minutes of meditation per day. Oh yes, daily meditation is probably the most powerful weight loss strategy in my program and one that many will say they can’t do. Air is the foundation for life. Slow your breath and control your life.